Britt has been involved with sports and coaching since a young age. Being involved in competitive softball for 13 years and playing collegiately in Florida, as well as coaching girls travel softball teams. Britt was introduced to Crossfit in 2013 and found her true passion for exercising and living a healthier lifestyle. Her last year playing collegiate softball her coach introduced her to Crossfit like workouts and was instantly hoooked. After coming back to the Bay Area Britt found Crossfit Danville and fell in love with the sense of community and hard work. Through Crossfit Britt realized her passion for exercise and began to pursue a degree in Kinesiology focusing on Exercise Nutrition and Wellness. In 2015 Britt became a Level 1 Crossfit certified coach because she wanted to help clients the way her own coaches had helped her. 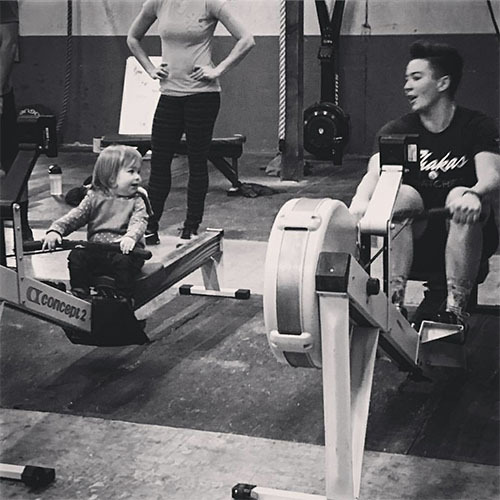 Coming into Crossfit not being able to do a single pull-up and half a push-up the Crossfit Danville community gave her a place full of encouragement and opportunities to grow as an athlete and a person. Through the Crossfit community Britt has witnessed countless transformations, physically and mentally, and wants to help people find a healthier and happier lifestyle through coaching Crossfit.